I was lucky to recently spend some time in sunny Austin, Texas for SXSW interactive festival. It was my first trip to the city and I definitely enjoyed it. When I asked people for travel tips before leaving many recommendations seemed to focus on food. 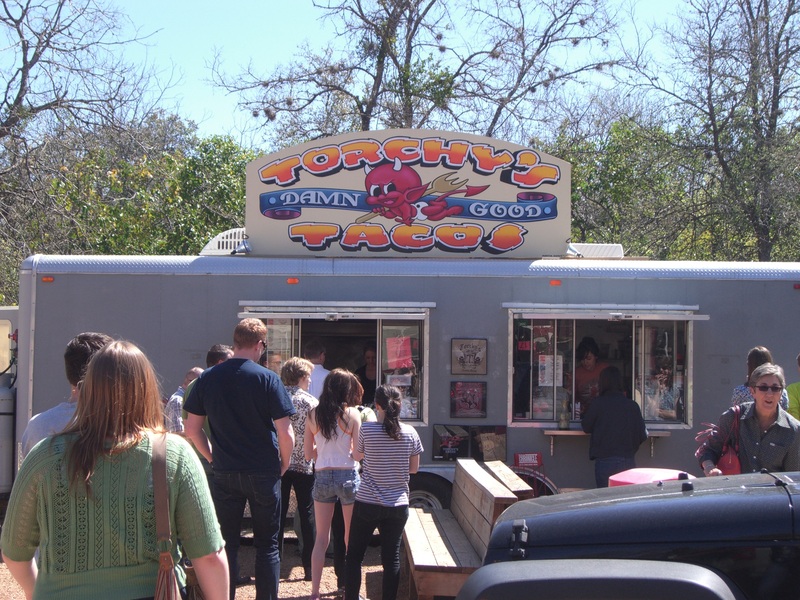 Austin has tons of great restaurants and bars as well as a very interesting “food cart” or food trailer culture. These carts serve everything from tacos and wraps to crepes and cake balls. They are scattered throughout the city and while some are stationary, others move locations. The question is how you navigate these local spots and what trailers are worth the visit? I went on an un-official food trailer crawl with my friend and travel writer Andy Hayes and Beth Krauss from the Austin CVB. We set out to try some unique and delicious foods and see how many carts we could visit before calling it quits. 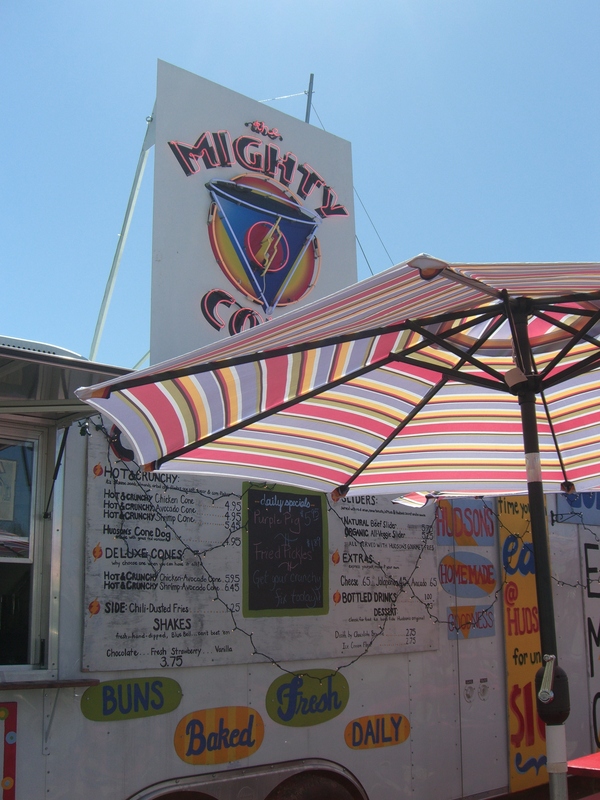 First stop was The Mighty Cone in South Congress. I tried the hot and crunchy chicken cone. Which is served wrapped in a tortilla and served in a paper snow cone. Overall it was very good, although I had to remind myself not to get carried away. We still had several spots to see. Next we headed over to the South Austin Trailer Park & Eatery. It’s a location with several carts and outdoor seating. We wanted to try Torchy’s Tacos which has a reputation for having both delicious food and unique taco combinations. One that we tried was the “The Democrat,” which had shredded beef barbacoa and onions topped off with fresh avocado, queso fresco, cilantro and a lime wedge served on a corn tortilla with green salsa. After tacos we went next door to Holy Cacao for dessert. This trailer describes itself as a “gourmet dessert trailer offering unusual items such as Cake Balls, S‘mores and Frozen Hot Chocolate at affordable prices.” We went for the cake balls, and they were amazing and not what you would expect to be served from that tiny trailer. Our final and third trailer location was Gourdough’s for doughnuts. Like Tourchy’s this food cart has some unique combinations on their menu. We shared the Mother Clucker. Check out this short video to see this crazy doughnut and for quick reviews from Andy and Beth. Overall I think our mission was a success. 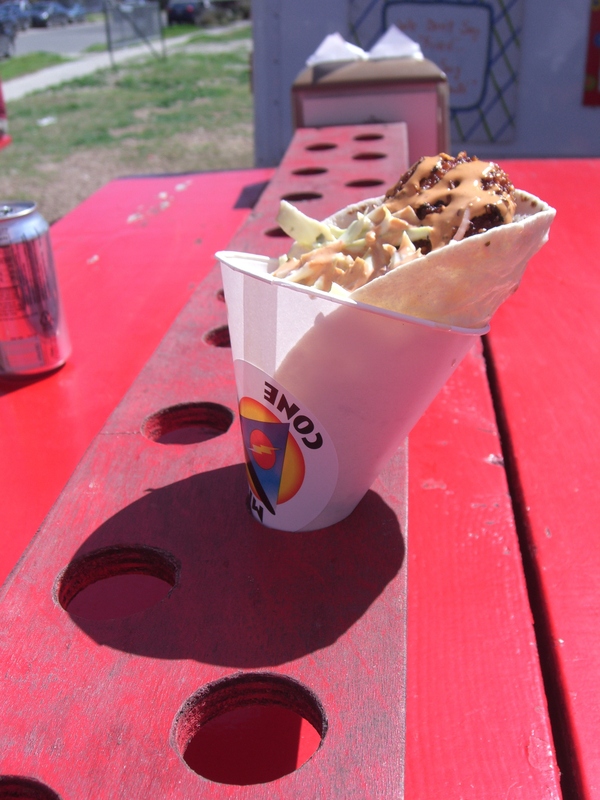 The food carts are a fun and unique part of the Austin food scene. Sitting outside on a sunny day eating at a picnic table was a plus to the experience. Somehow I don’t think food carts of this nature would do well with the Ohio weather. I look forward to my next visit to Austin. After all, there are still several more food carts I must try. I’ve been struggling on how to even begin describing my first SXSW interactive experience from this past week. It’s important for me to blog because I believe in the power of sharing good ideas and exchanging knowledge, so I’ll try my best. I had an amazing time and it’s hard to fully convey the reasons I know this was an extremely valuable trip. It pieced together a lot of things for me and the timing (my senior year of college) couldn’t have been any better. I tried to do my homework before I went. I talked to people who had attended SXSW in previous years, emailed some online tweeps I wanted to meet, picked out the sessions that looked interesting and ordered my personal business cards. When the time came to leave I was still anxious but feeling more confident I knew what to do and could rock out SXSWi. My first three days flew by. I seriously couldn’t even tell you what happened when, who I met what we did (no not because I was drinking too much). It was intense. Since I was traveling alone I was constantly being forced to meet new people. I loved it every moment of it. I bounced from group to group and made a ton of new friends. Also taking time to meet people I had only ever communicated with online. Several people told me it’s the people you meet not the sessions or speakers that really make your time in Austin worthwhile. While I attended some great sessions, I would still have to agree. I’m walking away with the feeling that some of the people I met will become lifelong friends (thank goodness for social media keeping us connected). It sounds cliché but it’s true. I valued the feeling of being surrounded by people who want to go out and change the world. I think that was another key piece of this trip; the opportunity to meet a group of people who understood the importance of looking ahead the future. I plan on blogging more of my thoughts from the trip soon. 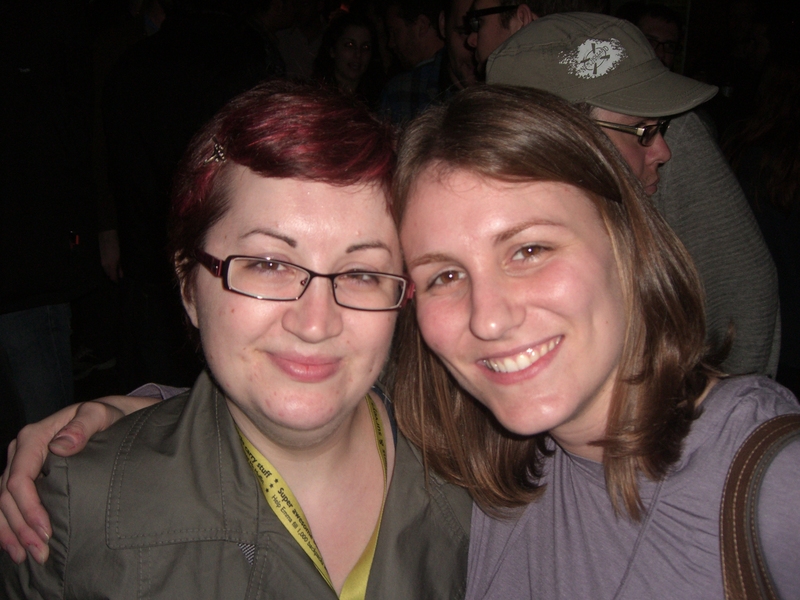 I did write up a post for The Next Great Generation called Embracing Your Gen Y Status: SXSWi Edition if you want to check that out. Visit here again soon for more updates.